Oh this shawl is lovely in person-I wish everyone could come over, visit and see for yourselves. I guess you'll have to trust me :) The yarn is Madelinetosh Lace and it's a favorite of mine for lace weight knitting. The stitch definition is supreme and I love the layers of tonal colors. Here's a helpful hint-do not wear bracelets while blocking your beloved shawls. Yep, I snagged this right when I first started to pin it out. I could have just kicked myself. However, I quickly worked the four inch snag (I know!) back in. Lesson learned from this seasoned knitter. I apologize for not modeling this shawl. I was feeling quite frumpy yesterday. A bad hair day started it off and the thought of wrapping myself in wool on a hot day was not going to de-frump me. You'll just have to imagine me in it. In my mind, I'm quite beautiful in it with a backdrop of crisp falling leaves in mid autumn-a cold weather lover at heart. I chose this shawl pattern because of its striking lace work and the simplicity with the stockinette rows. If you've done lace before give this pattern a try. The designer also uses different color text for different sizes which was quite helpful! Oh Karen it's gorgeous! I've just added it to my queue. I have the perfect tonal color lace weight yarn that this would look lovely in. I don't know when I'll get to knit lace anytime soon but I LOVE it! I can't wait for modeled pictures with beautiful fall leaves in the background. I'm ready! I hope today finds you defrumped! That is absolutely beautiful. You did a great job on the knitting. Maybe you can get a picture when the weather is cooler. Oh, Karen!! Simply beautiful. Bring on the cold weather!!!!! Karen, the shawl is beautiful! 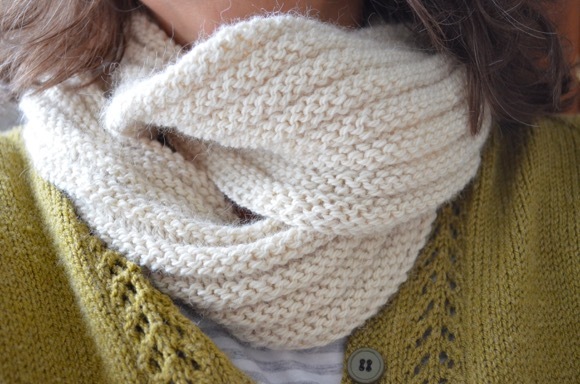 The pattern and the yarn you chose are just perfect! Your shawl is elegant and lovely! Nicely done. I'm such a klutz I can't even wear my rings when I knit. You did a nice job of fixing your snag! It's beautiful! Really stunning! Great job, Karen. Stunning, just stunning! You keep outdoing yourself, I think this it the prettiest shawl I have seen! It turned out so beautifully! Great job! Oh my goodness! That is so lovely. Really dreamy. Thanks for the sharing! Oh so lovely! I'm so glad you were able to fix the snag! Can't wait to see this in the fall! It would go great with a dress. Karen, your shawl is beautiful! All I can say is wow...I take my hat off to you. It's beautful. that is just stunning......love everything about it!! Beautiful Karen! I love the colour! 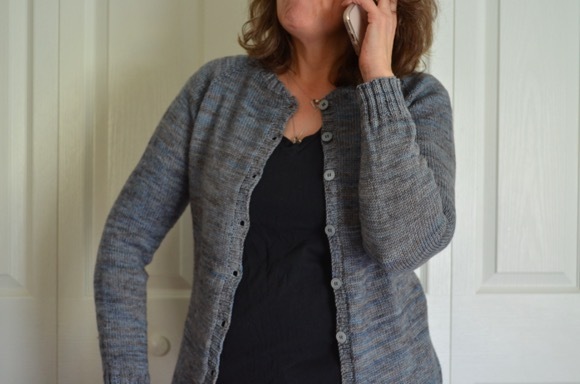 Beautiful, beautiful work Karen :) It's a perfect marriage of pattern and yarn and I really like the colour. What a delight it will be to wear! So. So. Pretty! I cringe at the thought of snagging it... I would have cried. I am sure of it. Love the fall vision of you wrapped up in this beauty. Nice! You've done it again! Simply stunning! And you are so incredibly glamorous when you wear it that everyone is jealous! It's beautiful! I love the variegated colors of the yarn. You have totally inspired me, and I am back to work on finishing my honeycomb blanket. After that, who knows what rave new project I will attempt? Maybe lace! Ha, that should say brave, sorry!